Oh, CTA, sometimes we kind of love you. Not only is there a holiday train, there's a holiday bus. 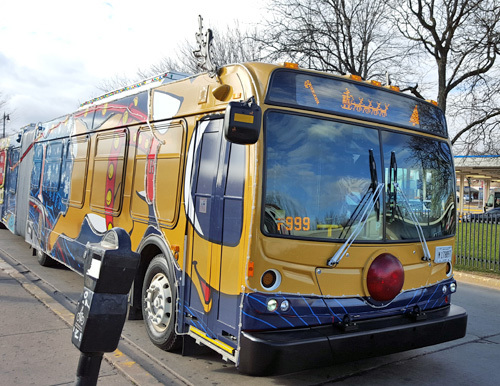 Santa, the elves, and their fireplace and throne will be riding the Ralphie-the-Reindeer-adorned bus on the #22 Clark route Saturday and Sunday. Want to know where it is? 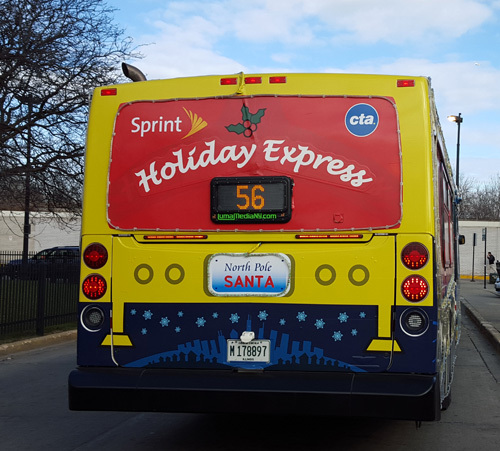 Use the special Holiday Bus Tracker. On Saturday, it will depart the Howard Bus Terminal (next to the Red Line station, Howard & Paulina) at approximately 12:45pm and run the regular #22 route. There will be photo opportunities available at the Howard Bus Terminal between 6:30pm and 7:30pm. On Sunday, it will leave the Howard Bus Terminal at 11:30am and run to Old Orchard on the #97 route. There will be photos available at Old Orchard between 12:30pm and 1:30pm. It will run on the #22 route beginning at 2:30pm, leaving from the Howard Bus Terminal at that time.